More, more, more, more... 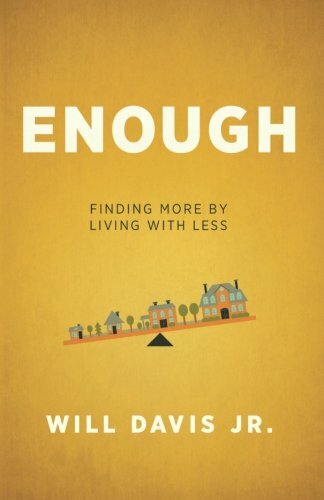 It will never be enough. Use my MIND, more than my body. Help my generation prepare for the future! I was immediately like… “What did I just get myself into?” But I went in and met the team, I was intrigued. The first question I asked was, “Would I have to sell Bottom Line Yoga to pursue this opportunity?” The answer was NO - I could keep BLY, and explore this career. So, I had no excuse, but to go through the training process. Well, one interview led to another, to another, to another, to another, and each interview I would walk in skeptical, and walk out elated, inspired, and ready to learn. I was ready to diversify my knowledge, and since I was a client, I decided the best person to learn from would be the person I trusted with my own money. From September through December, I was insurance licensed, learned the philosophy of financial planning, shadowed senior financial advisors, and learned the foundational steps of the planning process. After years of studying yoga, mindfulness and meditation, learning about financial health felt like a meaningful next step. Over the years, I’ve strived to build a business rooted in the principles of yoga - creating union of mind, body and spirit. As I worked closely with the holistic health community, I was confronted with the fact that true freedom isn’t possible unless there’s financial health. 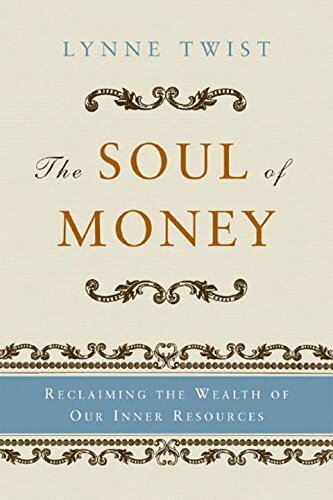 This concept led me to learn about the energetics of money, and what I found was financial stability for many is not how much money they make, but really a deeper connection to self-worth. There are people that make tons of money, and live paycheck to paycheck, and have mountains of debt. On the contrary, there are people who make enough for their current needs, plan for their future, and have a healthy relationship to money. Debt is really just lack. When we put out the energy of more, more, more, more, this creates debt, both literally and figuratively; it's telling the universe that you aren't satisfied, and being satisfied is the ultimate sign of gratitude. The financial training I received allowed me the opportunity to understand the process, and as they say, “knowledge is power.” The Bottom Line Yoga slogan is, “Small Shift. Big Change.” Shifts in perspective can drastically change one’s relationship to everything. Two years ago was my first planning session, as a client, and I was at the lowest place in my career. I had started Bottom Line Yoga, and like many people, I left a stable job to pursue a passion project. I poured every ounce of myself into BLY. After a year in business, BLY was barely breaking even, I was $90,000 in debt. That single meeting with my advisor my life was forever changed. It was the first time in my life someone had talked to me about strategic long-term financial planning, and helped me set meaningful goals. I was so impressed because it was coaching in every sense of the word. My advisor set me in a new direction, and saved my life. My yoga mentor, Coby Kozlowski, would call that the One Degree Shift because it only takes one small shift to completely change the trajectory of one's path. For the past two years, I have dedicated myself to paying debts and stabilizing BLY. In January of this year, the same month I was injured, I was able to pay off our outstanding debt. For the first time in my life, I felt financially stable, and best of all, I felt confident and competent. It was probably the most rewarding feeling I’ve ever felt. Like changing any habit or perspective, it took time and commitment. Choosing financial health was a daily decision, and it started by showing gratitude for the things I had, as well as, truly believing that I was worthy of financial health and stability. Should I eat in or out? Should I buy those yoga pants, or just do laundry more often? Coffee at home or at La Colombe? It became clear to me that the only way to feel the complete union of mind, body and spirit was by living within my means. When we aren’t able to take care of our basic needs, both in the present and in the future, we are left with a general uncertainty that dictates the way we make choices. Now is the time to go inward and acknowledge your intrinsic value both literally and figuratively. Are you on track to take care of your 75 year old self? Who’s going to take care of that person if it’s not you? Are you also enjoying your life, right now? Are the present and future out of balance because of choices in the past? Can we make choices today that change the narrative? You are enough, just as you are! 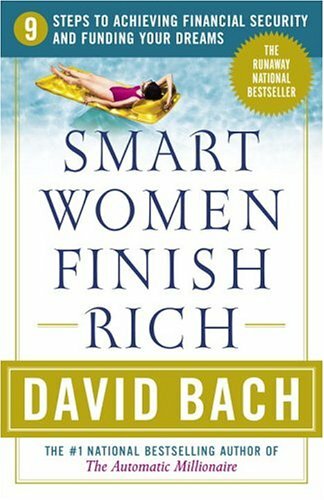 Books that helped me shift my perspective on money. Enjoy! Karma: The seeds we sow.